What is amazing about the story of Abraham and Sarah (see Genesis chapters 12 – 25) is that there are actually 25 years between the time that Abraham is promised the birth of a son (Isaac) and that God “will make of you a great nation” and “through you all the people of the earth shall be blessed.” This length of time is literally so long from the point of the promise that both Abraham and Sarah make major mistakes in disobedience and almost fatally take matters into their own hands. It’s a point of disobedience when Abraham allows his nephew, Lot, to accompany him when initially called to “go from your country and your relatives and your father’s house.” This arrangement ultimately leads to Sodom and Gomorrah and the ultimate demise of Lot’s wife. Note that Lot’s descendents from his own daughters would become Moabites and Ammonites, future enemies of the Hebrew nation. Yet the promise is fulfilled. It is twice an issue of trust that God will preserve Abraham and Sarah when they encounter foreign kings and lie about their married status. Yet God protects them and fulfills the promise. They again reveal their lack of trust in God’s hand and timing when they disastrously arrange to conceive a child through their maidservant, Hagar. The unfortunate offspring, Ishmael, would grow to become the origin of the later Mohammedans (or modern Muslim/Islamic nations). Yet God is patient despite Abraham and Sarah’s lack of trust. 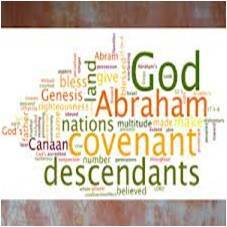 Faithful God made His covenant promise with Abraham that his descendants would number like the stars. This Abraham believed and “it was reckoned to him as righteousness.” But while Abraham believed in the promise of an heir in his old age, he was far from perfect. Thankfully, God keeps His promises despite our failures. Faithful, covenant-keeping God launched a Hebrew nation through Abraham’s son Isaac and his son Jacob whose line leads to Christ who is the promised blessing for “all the people of the earth.” Yes, we can trust the promises of God and better fulfill God’s will for our lives by patience in His timing and guidance than in our own apparently reasonable but carnal and speculative actions.